Good news everyone! Your favorite server is about to get some brand new maps, and you're invited to participate! 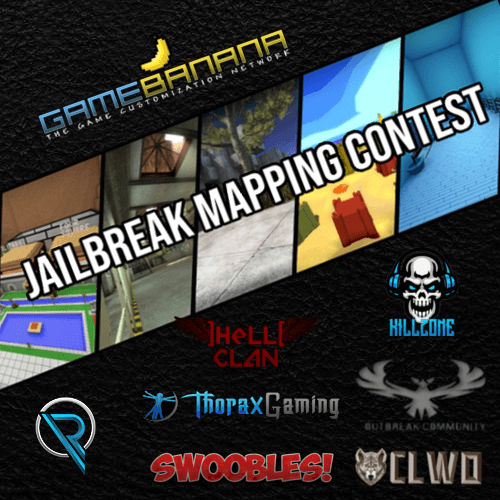 Swoobles, along with 6 other communities, have pitched in to host a Jailbreak Mapping Contest via GameBanana (formerly CSBanana). If you're interested in creating a map for the competition, please read below. Every submission must be a playable Jailbreak level for CS:GO! Entries must be submitted onto the site and tagged as a contest entry before the deadline. Entries must included the banner shown in the description somewhere in the map where it is clearly visible to everybody. If the entry is uploaded to an external site, it must state that it was created for the CSGO Jailbreak Mapping Contest. Entries must support up to 64 players in the map to fit all servers. Submitted content must be considered "Original", entries should not be rethemes, version 2's or copies of other jailbreak maps. The submission can use pre-existing assets such as existing models and textures, but enough work should be done to consider the submission a 'new release' made for this competition. Simply re-uploading a previous piece of work will not count. Multiple entries are allowed, however quality is better than quantity. 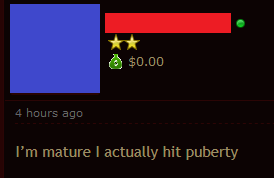 Each entrant may only win a maximum of one (1) prize. Team based entries are allowed, but the entrants will have to decide and agree on how to split any prizes awarded. Entries cannot be modified after the deadline except for changes to the submission profile (changing the description, notes or screenshots). Judges cannot enter or assist entrants. The activities for the prisoners will be important part of the judging, both in the quality of them and the quantity of them. New and well made activities will score well. The design is also a notable part of the judging, so make sure to consider the visual aspects when making your entry. We will also value the originality of the map, both in visuals and gameplay. Hope to see some people enter. (06-30-2018, 11:33 PM)Big Wet Wrote: Hope to see some people enter. if anyone needs help in making a map i can assist as well. Oh, did I mention there would be prizes? I’m up to help test maps for anyone that needs it. Excited to see some great maps come from this! I'll try my best to make a map but I've never made one before. EDIT: Anyone got some good videos for beginning mappers? These guys are interested in entering the contest as well.